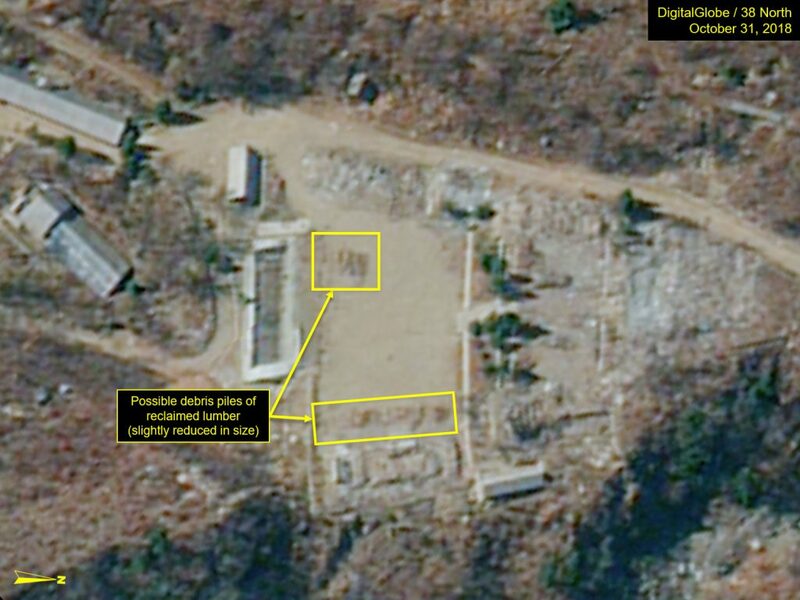 Recent commercial satellite imagery of North Korea’s Punggye-ri nuclear test site shows some partial site cleanup, possibly including reclamation and removal of wood from the buildings demolished last May as part of the site’s closure. 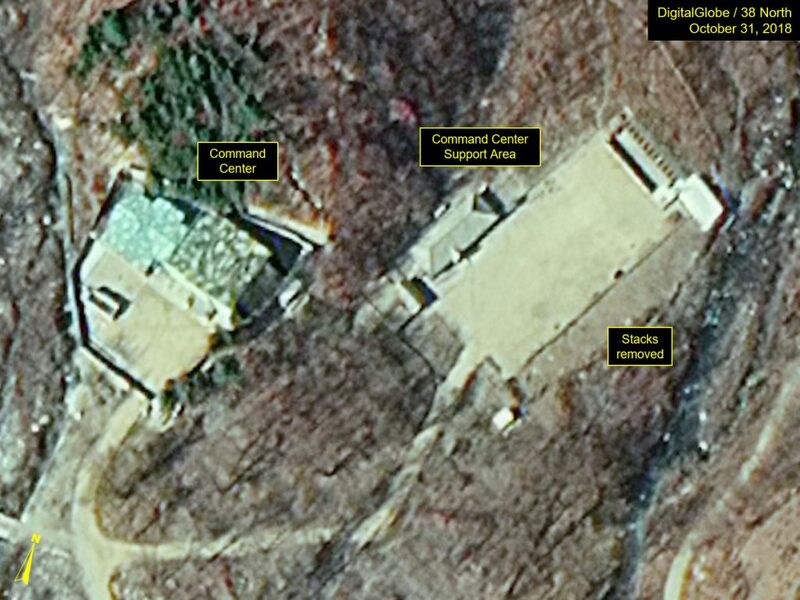 Most of this activity has taken place within the Main Administrative Support Area, the Central Command Center compound and the adjacent security barracks area. The old access road leading to the original East Portal area (Tunnel #1, where the 2006 nuclear test was conducted), which has been abandoned since just after the 2006 test, remains blocked by landslides preventing vehicle access. 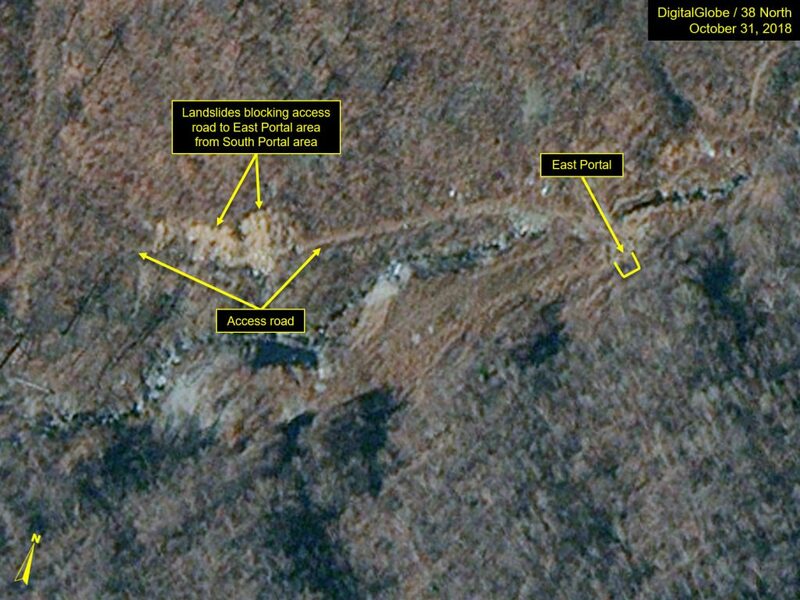 Should outside inspections of Punggye-ri take place, access to that portal to verify its closure would likely be gained from the South Portal area (about 1,300 meters away). 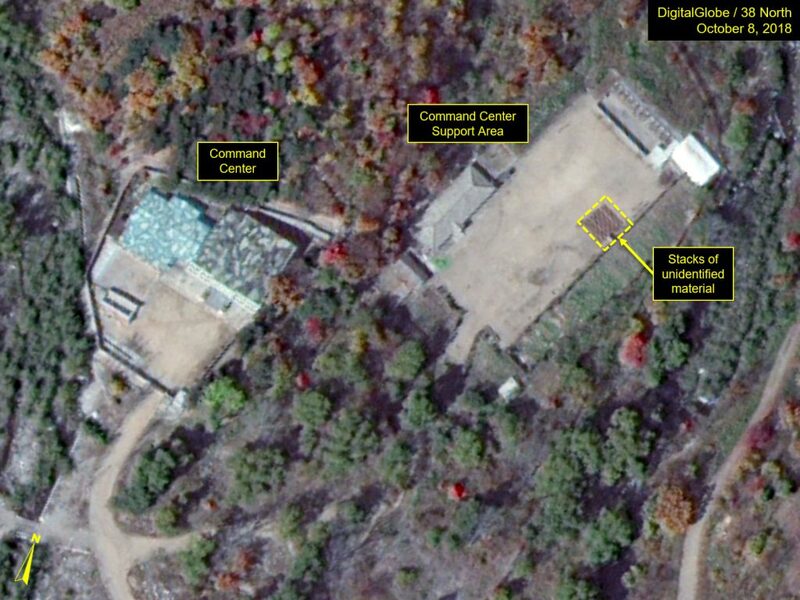 While no activity was noted at the North, West and South Portal areas, commercial satellite imagery from October indicates a slight decrease in two accumulations of what is most likely reclaimed lumber from demolished buildings within the lower courtyard of the Main Administrative Support Area. Figure 1. Decrease in possible lumber or debris piles. The Command Center remains intact, with no new activity observed. 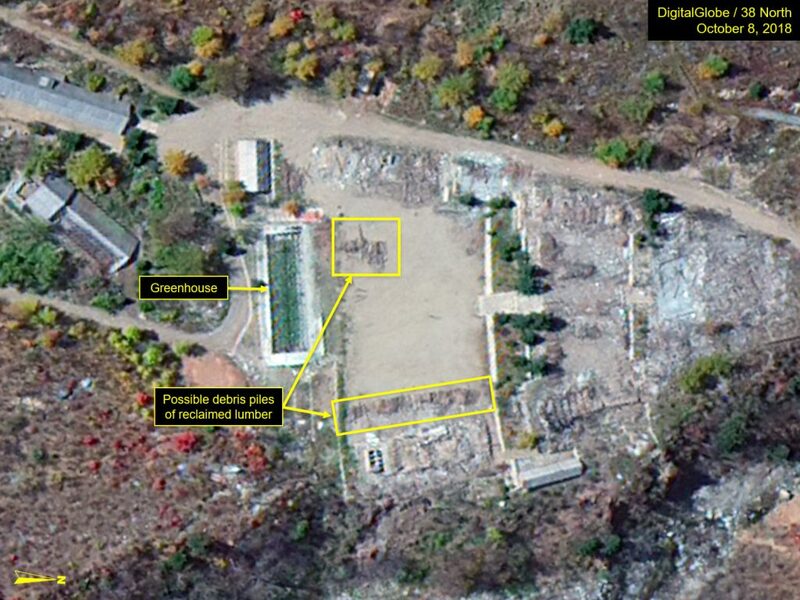 In the adjacent support area, a square pile of unidentified material (possibly harvested grain), which was present on October 8, was removed by October 31. Figure 2. Unidentified material removed. 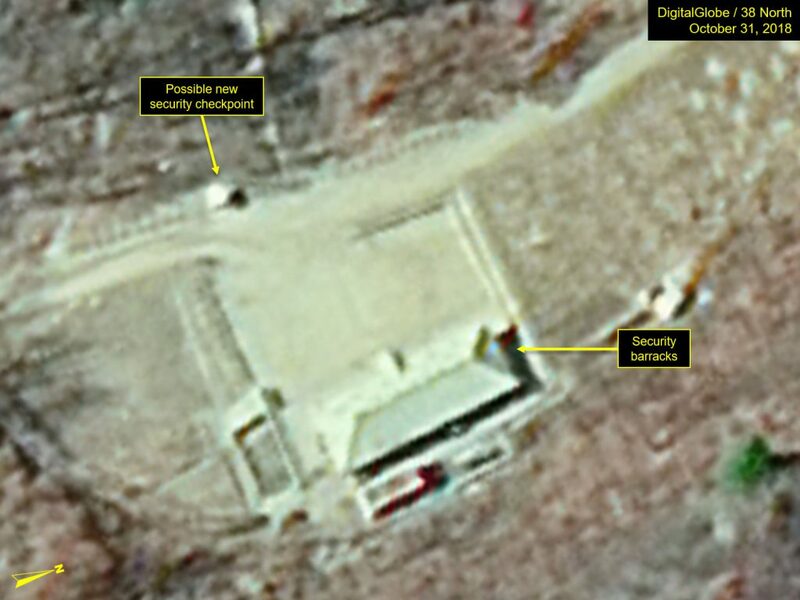 The same was also apparent in the nearby security barracks area. 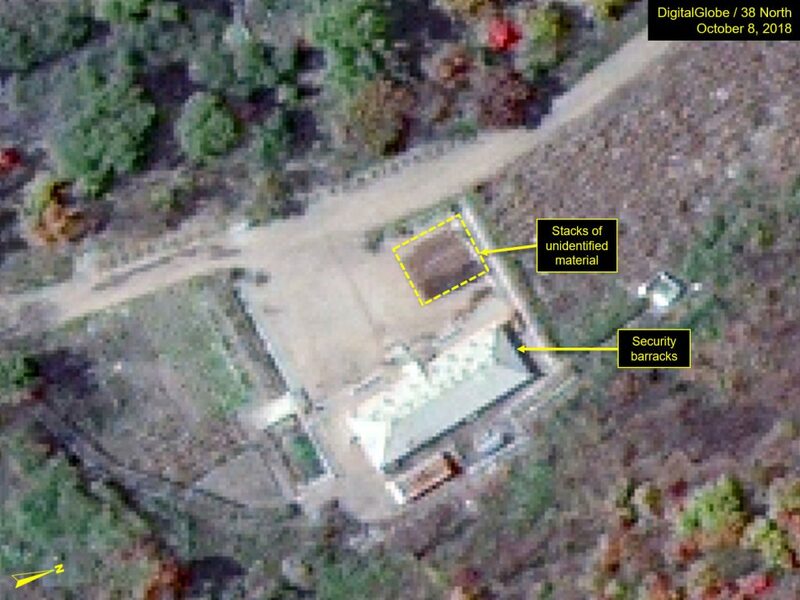 A small white shed, possibly a new security checkpoint shack, was added by October 31 along the main road near the security barracks building. Figure 3. Unidentified material removed but a small shed erected. The access road to the abandoned East Portal area, which is where the 2006 nuclear test was conducted, remains blocked by landslides and displaced boulders, which likely were the result of earth movements caused by previous underground nuclear testing. Figure 4. Access road remains blocked.